Is Roger Federer losing his midas touch? Last year 2018 has officially come to a close for Swiss superstar Roger Federer after losing his semi-final clash to Germany’s Alexander Zverev in straight sets at the year end ATP World Tour Finals in London. Roger Federer had begun 2018 in fine fashion by winning the Hopman Cup partnering Belinda Bencic. Weeks later he clinched the Australian Open for a record equaling sixth time and in the process became the first male player to win 20 Grand Slams. He followed that up with another title in Rotterdam and looked menacing as ever. All looked rosy for the then 36 year-old until a hand injury forced him to take an indefinite break from the game where he had to once again skip the French Open. 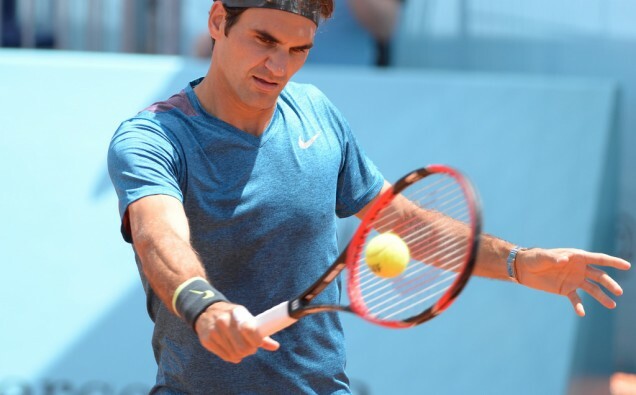 In June, Federer returned to action and straightaway captured another title by winning the Stuttgart Open and regained the World Number 1 status. It seemed things were falling back to place for Roger Federer until a shock loss to youngster Borna Coric at the Halle Open final; a tournament which Federer has won on a record nine occasions. Everything started to change from then on as Roger Federer looked a different player. Since then, Federer lost to South African Kevin Anderson in the quarter-finals of the Wimbledon in five sets despite being up by two sets to love. Next, he stumbled at the final hurdle against rival Novak Djokovic in Cincinnati. He followed that up with another shock loss to Australian John Millman in four sets in the fourth round of the US Open where he committed a whopping 77 unforced errors including 10 double faults. The world was witnessing very unlike Roger Federer performances. His next assignment was the Shanghai Masters where he once again fell to Borna Coric in straight sets in the semi final. It seemed as though Roger Federer was losing his midas touch and what better way to regain it by playing a tournament at home. He found solace at the Swiss Indoors in Basel and went on to grab the title by defeating Romanian Marius Copil in the final. Federer seemed to have gathered some much needed form as he headed to the Paris Masters but all came crashing down in the semi-finals where he met a red hot Novak Djokovic who was on a 21-match winning streak. Despite a topsy-turvy year, Federer had qualified for the year end ATP World Tour finals where he was placed in the Lleyton Hewitt group along with Kei Nishikori, Kevin Anderson and Dominic Thiem. Federer started the tournament in horrible fashion with a loss to Nishikori but followed it up with brilliant victories over Anderson and Thiem to reach the semi finals only to lose to Zverev in straight sets to end the year with an overall scorecard of 48 victories and 10 losses. Roger Federer, now 37, would have definitely liked to end the year on a high and fans are certainly saddened to see such a prolific player failing to churn out titles after titles. No doubt, injuries off late and especially age catching up are massive factors behind a dip in form but as they say, “form is temporary, class is permanent.” Roger Federer is certainly a class player and despite losing a bit his midas touch, he’s undoubtedly one of the greatest tennis players to have played the game. Long live Roger Federer!